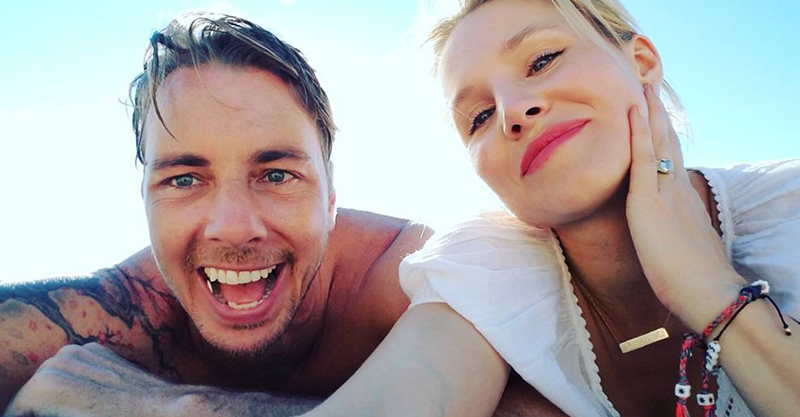 Firm funny famous parent faves Kristen Bell and Dax Shepard are positively brimming with self-awareness and their approach to nutting-out conflict in front of their two small daughters is similarly down-to-earth. The first rule of Parent Fight Club? Kristen’s just revealed the couple’s excellent approach to dealing with unplanned squabbles in front of their kids and it can teach all families good things about honesty and accountability. To be fair, it was her husband who came up with their very important Parent Fight Club rule, but it was Kristen who spilt the beans in the hopes of helping other stoushers, so she’s the one who gets our props. “One thing my husband invented – he said, ‘Let’s make a commitment to always make up in front of our kids,” Kristen said in an interview with PopSugar. How indeed?! We’re huge fans of Kristen and Dax’s very kind, demonstrative fight follow-up strategy. This respectful modelling of ‘make-up behaviour’ helps children process what they’ve witnessed and understand how feelings shift while love remains constant. It also means they’re able to begin applying similar kindness in their own relationships.